Excerpt from “Why Motivating People Doesn’t Work … And What Does” by Susan Fowler. Answers to these questions can be found in the compelling evidence that human beings have an innate tendency and desire to thrive. It is in our nature to want to grow, develop, and be fully functioning. We want to flourish—but cannot do it alone. We are, by nature, social animals. Striving to reach our individual human potential is natural, yet we innately recognize that the interconnection between ourselves and the world around us is a vital part of that process. Of course, the science is just catching up to what creative and thoughtful people have understood throughout our existence. Movies such as The Wizard of Oz, Star Wars, and Gravity portray our nature to thrive. Poets such as Khalil Gibran, Maya Angelou, and Robert Frost, have reflected our longing for wholeness. Ancient and modern artists and musicians continue to capture our yearning for self-identity, growth, and a meaningful connection to others. Our desire to thrive may be innate, but thriving doesn’t happen automatically—especially at work. Just because we gravitate toward psychological growth and integration doesn’t guarantee it will happen. Human thriving in the workplace is a dynamic potential that requires conditions of nurturing. The workplace either facilitates, fosters, and enables our flourishing or it disrupts, thwarts, and impedes it. In fact, conventional motivational practices have undermined more often than they’ve encouraged our human potential. If you come to know the real story of motivation, you will experience a shift in the way you live and work—and, importantly, the way you lead. The real story of motivation is that people have psychological needs for autonomy, relatedness, and competence. It is a mistake to think people are not motivated. They are simply longing for something they cannot name. Do you know someone at work who wouldn’t prefer to make good choices, be a positive force for good, or have a sense of wonder? I don’t. Susan Fowler is known as one of the foremost experts on personal empowerment. Her extensive experience and knowledge gained through 15 years of advertising, sales, production, and marketing across the United States has fueled her quest to help individuals achieve their highest levels of success. 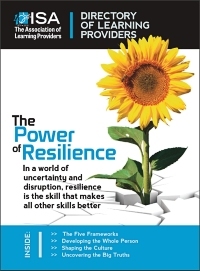 Fowler is a catalyst for change through compelling evidence, humor, accelerated learning, next steps, global perspective, and emotional connections. She is the coauthor of more than six books, including “Why Motivation Doesn’t Work...and What Does,” “Situational Self Leadership,” and the “One Minute Manager” with Ken Blanchard and Laurie Hawkins.